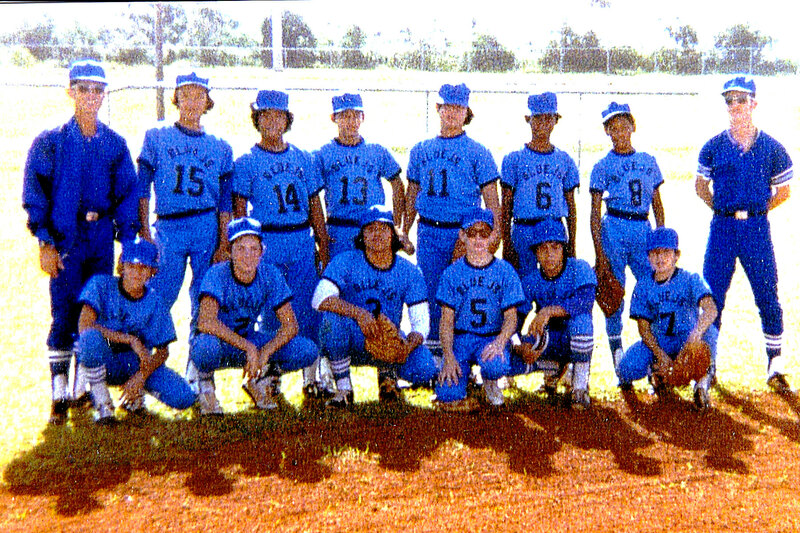 The NAVCAMS Blue J’s were another team that I believe played in the off-base league. We were a mixture of local kids and American military dependants and were sponsored by the NCO Wives Club on NAVCAMS (formerly NCS). I hated the ugly blue uniforms. I do not remember any of the names of my teammates, but I think one or two may have played on the ’79 Cardinals with me. We practiced at the baseball fields at the FAA housing area and I remember our practices out there when it seemed rather cold out. I believe we played our games in Yigo. I was upset when the coach tried me at second base for a while, but I eventually earned back my rightful spot at shortstop. What was he thinking! This was not a good team and we lost most of our games.